Pulse Wave Therapy is a reparative soft tissue treatment technique used at Pro Chiropractic in our Gallatin Valley Chiropractic Clinics to treat acute and chronic musculoskeletal injuries. Pressure Wave Technology also known as Shockwave and EPAT, Extracorporeal Pulse Activation Technology is an innovative, non-invasive and effective way to treat pain. How Pulse Wave Technology Works…. Pressure wave therapy is a modern and highly effective treatment method: Strong energy pulses are applied to the painful areas of the body. These pulses create micro-cavitation bubbles that expand and burst. The force created by these bubbles penetrates tissue and stimulates cellular processes in the body that are responsible for bone and connective tissue healing. Pulse wave technology then accelerates the body’s healing process by promoting circulation and improving metabolism. This encourages the body’s natural processes to regenerate damaged tissue. Pulse wave technology has been shown most effective in cases where the human body has not been able to heal itself on its own. Pressure Wave treatment is noninvasive. Gel is applied to the treatment area; pressure waves are then released through the applicator head as it is moved over the treatment area. Treatment time varies from 8-23 minutes. What does Pulse Wave Therapy Feel Like? The pressure and sensation felt during treatment will vary depending on the applicator head attachment your chiropractor or therapist chooses to use. 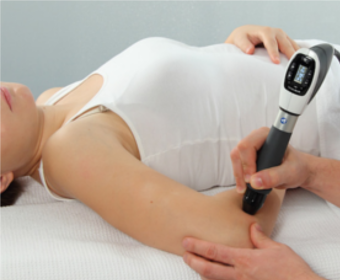 The pressure waves may feel like a light pulsing tissue massage or a deeper, more intense tissue release. Often patients describe feeling a great localization and reprooduction of the precise point causing their pain, and a referral of the trigger point, which releases pain in nearby areas. The number of treatment sessions needed depends on the condition that is being treated. Each treatment takes between 10-25 minutes and can vary depending on the condition that is being treated. 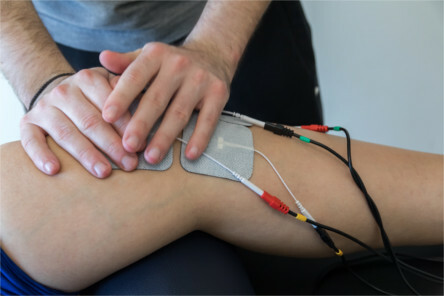 Which Painful Conditions are Treated with Pulse Wave Therapy?